At these Invite Levels we will crown a State Champion, complete with a State Champion trophy, All-State Team and Tournament MVP. 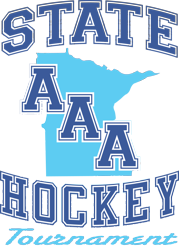 YHH has teamed with the Bantam Elite League for this weekend bringing an energy to the rink not found at any other summer event in Minnesota. Top players from all over the state in one building playing great games. Please contact Carmen at yhhhotels@gmail.com for assistance with hotel blocks. Champions crowned in all four divisions conclude the State Tournament. The action up north continued with another full day of games. Tournament's final day is set after packed Saturday schedule. Box scores, pictures, and scoring leaders through the first two days of competition. Thursday kicks off the statewide battle between the top AAA programs. The 2018 field is loaded with quality teams and quality players in each age group. Tommy Chicago skates away with the 2007 Championship.